Before you start a career in truck driving in Minnesota, it is best that you try to know everything about the industry. According to the Bureau of Labor Statistics, they estimate the salary for truck drivers in this state to be around $40,280, which is higher than the national average. The BLS suggests that there would be a 21% growth in jobs within this decade or so. To work as a truck driver in Minnesota, one must have a Commercial Driver’s License. Like most states, there are several state and federal regulations and requirements that must be met to obtain a CDL. First of all, you must be at least 18 years old to apply for an instate CDL and 21 years old for an interstate CDL. Secondly, to ensure that you are physically fit, you will have to undergo a physical exam to get a DOT medical certificate. Commercial driver’s license applicants must pass one or more knowledge tests depending on the type of vehicle and what they will transport to get a Learner’s Permit. The state offers knowledge tests for air brakes, tankers, hazardous materials, passenger, and passenger and bus. It is highly advisable that applicants get enough practice after obtaining their Learner’s Permit before taking the Skills test. All applicants are required to prove their capabilities to drive safely to get a CDL. The skills tests are divided into three parts: pre-trip inspection; basic controls; and actual road test. Applicants must pass all three parts to get a CDL. We would like your help to keep this directory current and comprehensive. If you know of additional truck driving schools currently offering training please use our contact form to let us know. When you make a submission please be specific and include the name of the facility, its address and phone number. Applying for a Minnesota Commercial Driver’s License is an important part of becoming a truck driver in this state. Non-compliance with the state and federal requirements will fail you of your aspirations of becoming one. 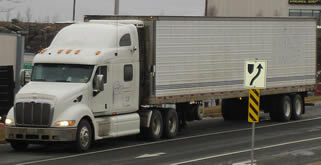 It is therefore important to know what these requirements are if you are planning on a career in truck driving. The recent changes in federal regulations have added some driver qualifications which were not put into effect several years ago. The first requirement is that applicants should be at least 18 years old if they wish to apply for a commercial driver’s license. This is applicable for those who will only be driving trucks inside the state. Those who will need to drive trucks interstate should be at least 21 years old. 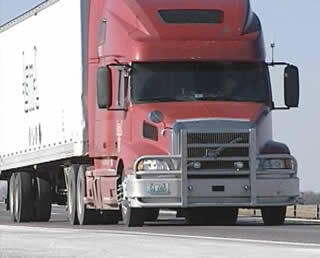 A commercial driver’s license is required from any individual who will be driving a truck which has a gross vehicle weight rating of more than 26,000 pounds; those which has a combined weight of more than 26,000; those that will be driving commercial passenger vehicles with a 15-person capacity; and those that will need to transport hazardous substances which will require placards. You may contact the Minnesota Department of Transportation if you want to know if you will need a CDL. In order to gain a CDL, you will have to apply for a permit first. You have to submit your current driver’s license, proof of your citizenship or legal residence in Minnesota, Social Security Number, and IDs which show your birth date, photo, and signature to the local driver license office. It is important to read the Minnesota commercial drivers license manual first before applying for the permit as it involves a written exam which will cover basic knowledge about driving on the road. You also have to submit a DOT medical certification which has been filled-out by the appropriate medical professional. You also have to pass the visual exam. After submitting these requirements to the licensing office, you will be granted with a permit which is valid for a few months. Make the most of these months to practice driving a truck which is similar to the class of CDL that you are applying for. When you think that you are ready for the practical exam, visit your local OMV office to schedule for an exam. You will be tested on three areas: pre-trip inspection, basic driving skills, and road test and you have to bring your own vehicle in which you will be tested on. You can also request for third party services if you don’t have your own. If you pass the actual driving test, you will be given a Minnesota Commercial Driver’s License in a period of 10 days up to 2 weeks. The license will be valid for a few years although you may need to renew your medical certificate every 2 years. It is very important to bring this license with you always whenever you are driving a commercial vehicle as well as your current DOT medical certification. This page shows the latest truck driving schools in MN that are accepting students for skills instruction and education to help pass the state exams.